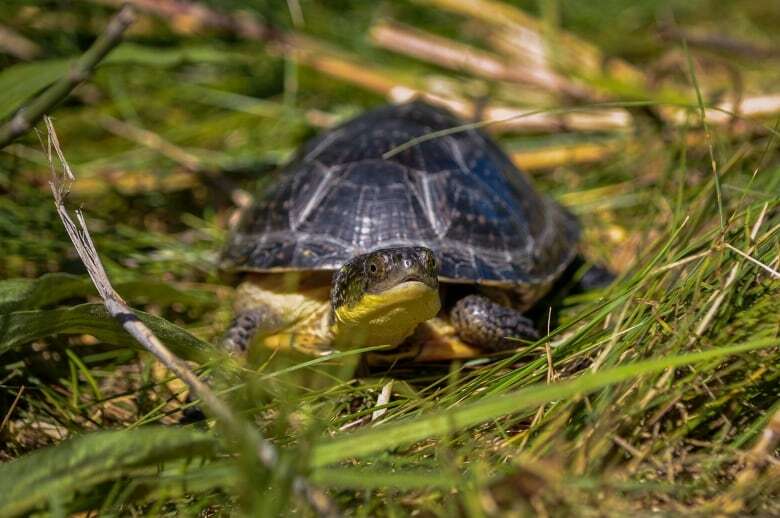 The Toronto Zoo and Parks Canada are doing their part to save a threatened species — releasing 36 baby Blanding's turtles Tuesday into a wetland soon to be a part of Rouge National Urban Park. 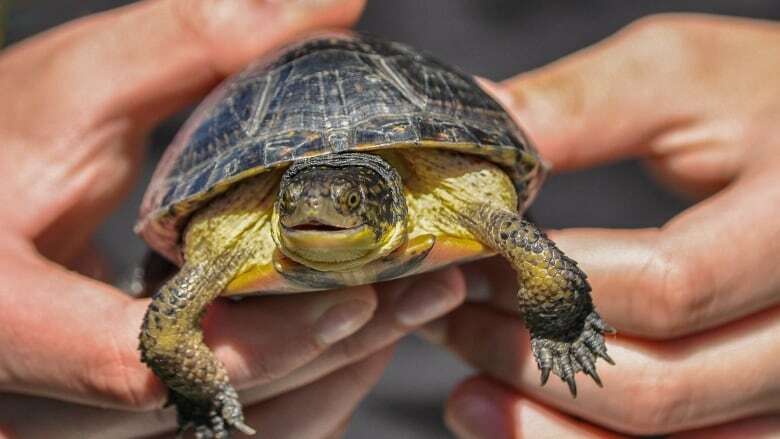 The Blanding's turtle is often nicknamed the "smiling turtle" because the yellow markings around its neck and mouth make it appear to have a grin. It can be found throughout most of the Great Lakes region and northern New York State. There are isolated populations in New England and Nova Scotia. This is the third year that the Toronto Region Conservation Authority has (TRCA) worked with the two agencies to release the baby turtles. Last year, 21 baby Blanding's were released in the park and 10 were released in June, 2014. 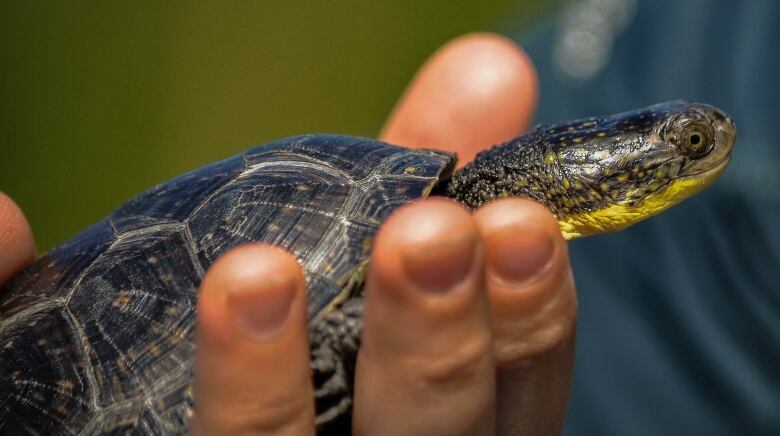 "Blanding's turtles are a flagship species representing a group of animals facing a variety of threats," said Dr. Andrew Lentini, curator of reptiles and amphibians at the Toronto Zoo. "Seven of eight turtle species in Ontario are at risk and need our help." "The turtle eggs were collected from a stable source population in southern Ontario in 2014 and have been raised in a controlled environment at the Toronto Zoo over the last two years," said a statement released by the Toronto Zoo. 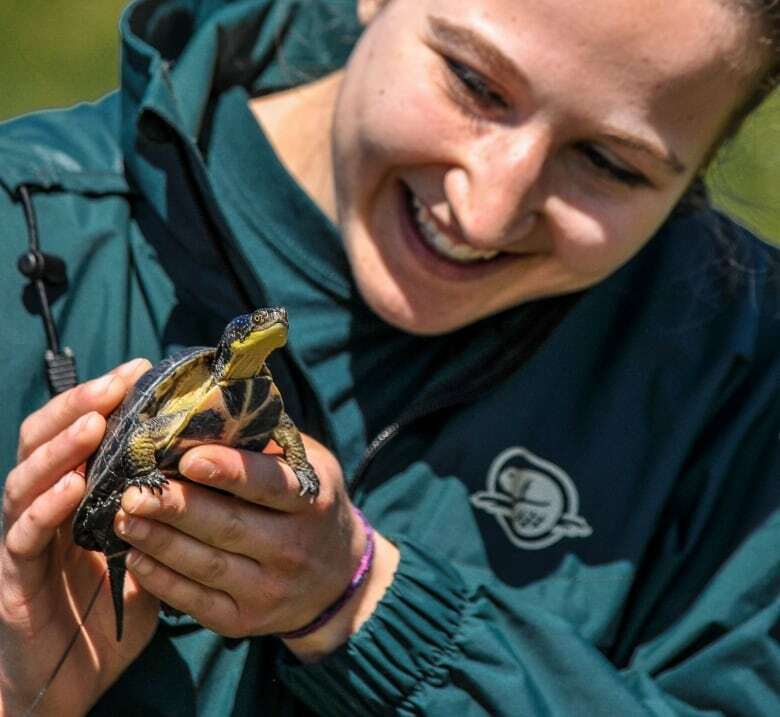 The University of Toronto Scarborough is helping with long-term monitoring of the turtles in the park. According to Parks Canada, the TRCA and the zoo, monitoring the turtles and restoring their habitat is vital to the survival of the species. 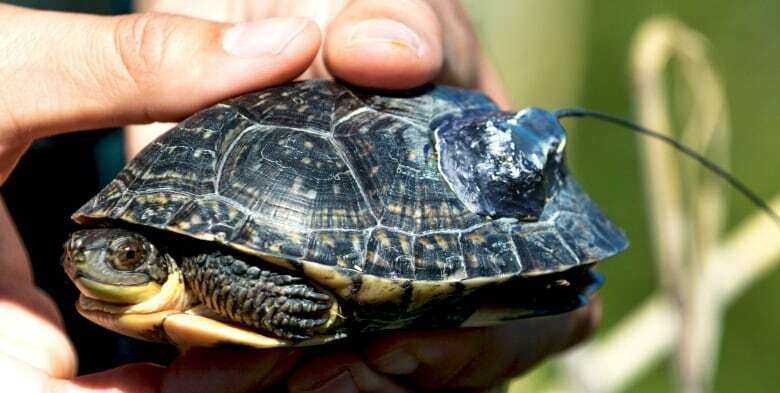 The zoo and TRCA first began monitoring Blanding's turtles in the Rouge Valley in 2005.